The brake shoe and park brake lever are not serviced separately. If either component requires replacement, they must be replaced as an assembly. 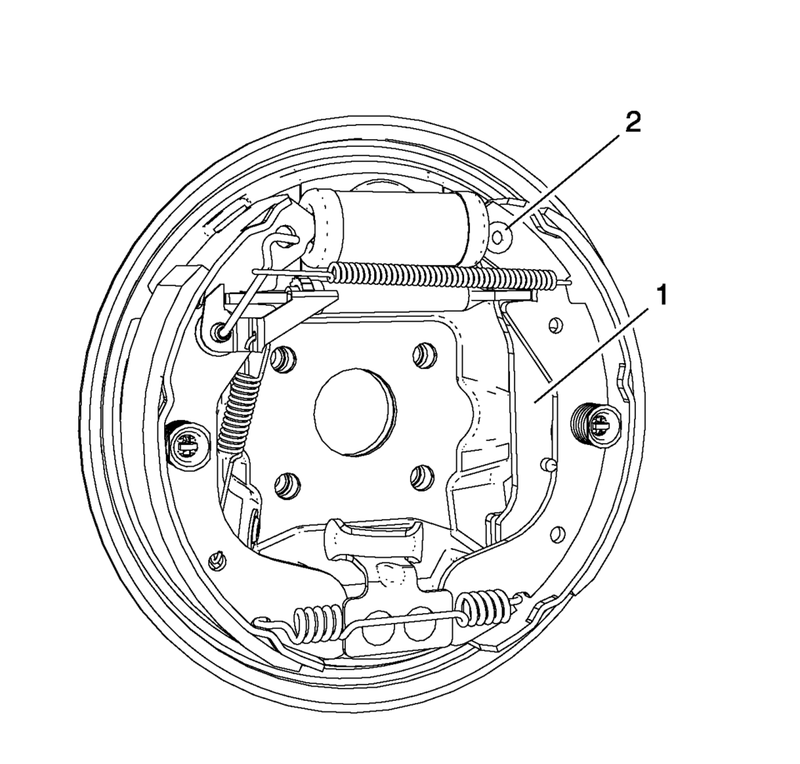 If any of the conditions listed were found, the park brake lever and brake shoe assembly requires replacement.